This beautiful hand made pendant necklace will be cut with your choice of any single initial and will come on a split chain. 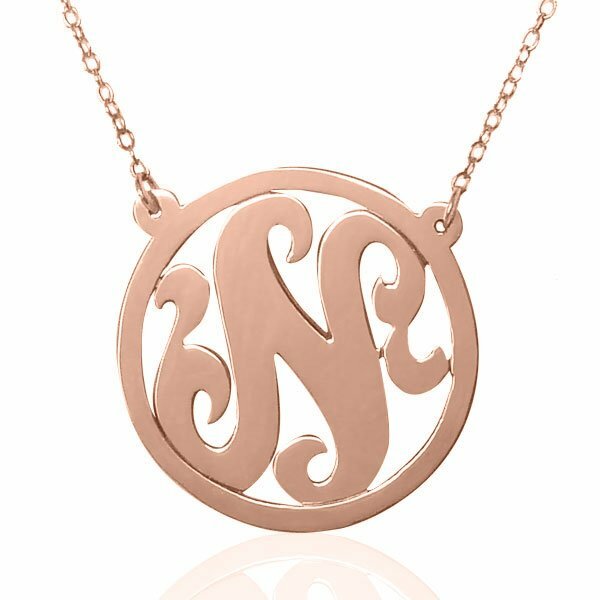 The approximately 1" wide pendant is created in your choice of 14K gold plate over sterling silver, sterling silver or rose gold and is polished to a shiny finish. Choose either a 16- or 18-inch chain. Please notice that this is a single letter only necklace. Choose a metal choice for your single letter necklace with border.